Cheeky smiles in a topsy-turvy world of fun. Want to start reading alone? Say hello to the Mr Men! It’s time to meet curious Mr Nosey and oh-so-mini Mr Small. Mr Nosey loves guessing all your secrets, and Mr Small loves being teeny-tiny. But they both love helping you read, and you’re going to love them right back! 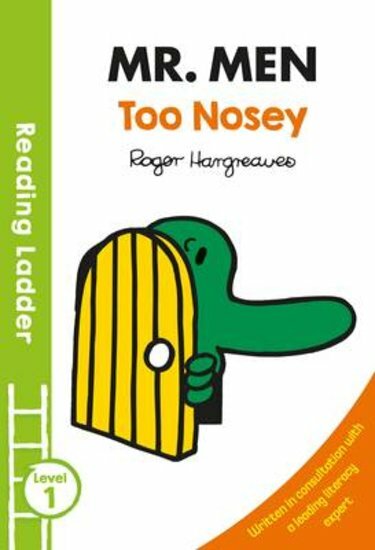 This charming book has two funny Mr Men stories to help you start reading alone, full of colourful pictures and massive laughs. Climb the Reading Ladder! 40L Lexiles are the global standard in reading assessment. They are unique as they are able to measure a child and a book on the same scale – ensuring the right book gets to the right child at the right time.